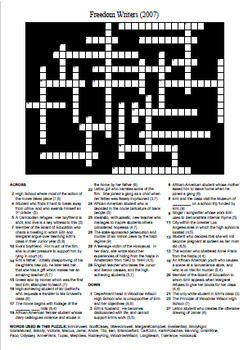 Crossword puzzle with word bank and solution based on the film starring Hilary Swank. There are 29 clues. These are the names of all major and minor characters, locations, and some key words from the movie. To see the words used in the puzzle, download the preview file. This is the solution grid. This mini bundle contains three very popular resources for use with this excellent movie. 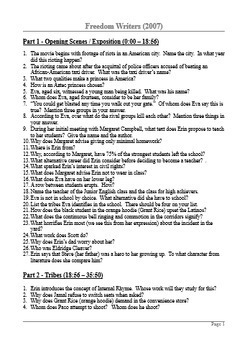 Use the detailed questions to ensure students are very familiar with the plot. 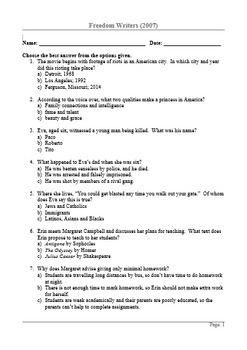 The MCQ can be used as a final assessment, or to keep students on track while viewing the film. 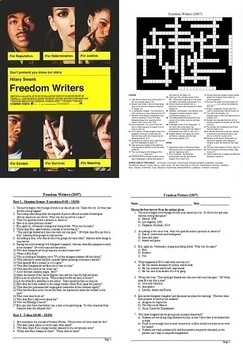 The crossword is a light, useful and fun end-of-viewing activity. It's also something you could use as a filler on a day when nothing else is ready to go.